COLUMBUS, Ohio (AP) — On Thursday, it was announced Ohio House Speaker Cliff Rosenberger was stepping down immediately, moving up a resignation he announced early last week amid talk of an FBI investigation into his activities. Brad Miller, a spokesman for House Republicans, said Thursday that Rosenberger’s decision to resign now came at the request of Rep. Kirk Schuring. Schuring is speaker pro tempore and presides over the House in Rosenberger’s absence. Multiple media outlets are reporting Rep. Ryan Smith (R-Bidwell), is vying to be the next House Speaker, starting in January 2019. 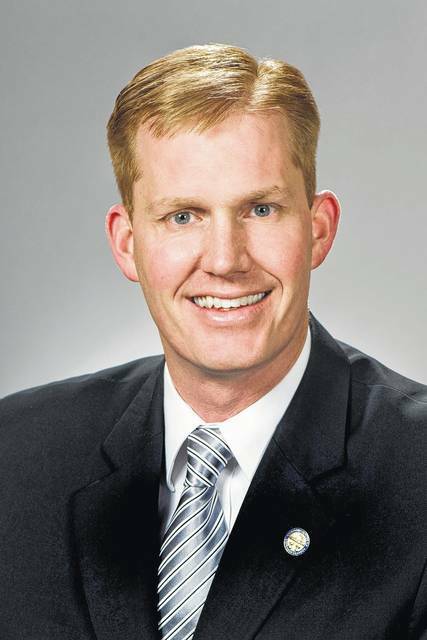 On Friday, Smith told the Gallipolis Daily Tribune a statement from him on the matter was forthcoming as events unfold at the Ohio Statehouse. The Columbus Dispatch quoted Smith on Thursday as saying he was confident he had enough support to win when the vote for Speaker of the House is eventually called. The date of that vote was not known at press time. Back in December, Smith spoke to the Tribune about his desire to make a run for Speaker of the House. Also in December, Smith said while he wanted to accomplish progress for Ohio, an essential part of that plan was bringing southeast Ohio with it. According to Associated Press reports, Rosenberger says he believes all of his actions as speaker have been “ethical and lawful,” but he understands the inquiry could take some time to resolve. This article consisted of reporting from the Associated Press and staff at Ohio Valley Publishing.